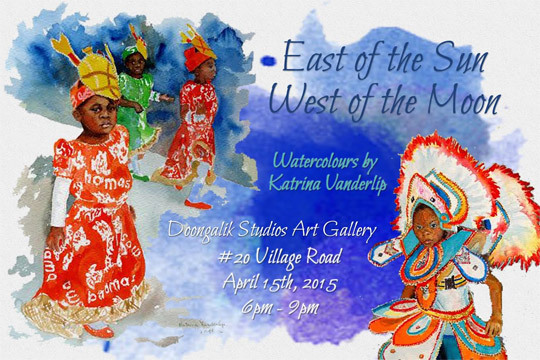 Doongalik Studios announces the Opening of a watercolour Exhibition featuring the work of winter resident, Katrina Vanderlip entitled “East of the Sun…West of the Moon” which will open on Wednesday, April 15 from 6-9pm. 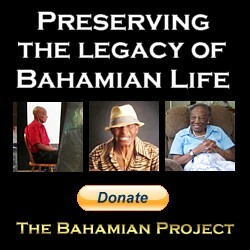 Katrina first starting coming to The Bahamas eight years ago and has fallen completely under its spell. 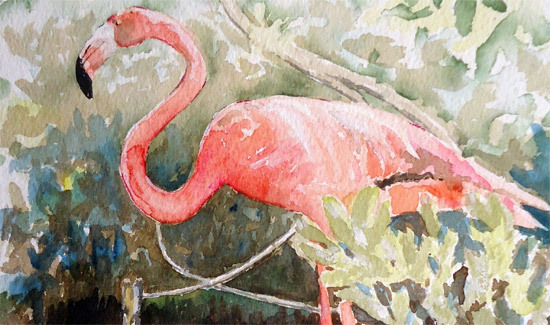 She has set out to discover and the study The Bahamas through her painting by visiting the Family Islands of Inagua, Eleuthera, Exuma and Long Island to capture their unique beauty as well as capturing the sounds, colors and characters of Junkanoo in images that she has produced with passion for this Exhibition. Trained at Harvard’s Fogg Art Museum, Vanderlip is both an artist and an art conservator who has worked for private collectors and museum, including the Louvre, The National Gallery, The Boston Museum of Fine Arts, The Los Angeles County Museum of Art and The Getty Museum. Katrina loved to draw and paint as a child growing up in California, Switzerland and Paris, but after her first year at Cornell University where she was majoring in painting, she read a statistic that said 99 % of the painters could not earn a living in their profession. During this period she was fortunate to discover art conservation so she pursued her education in this field at Harvard University on a three year grant from the National Endowments for the Arts. In 2009 Katrina rediscovered the pleasure of painting through illustrating a children’s book and has been painting full time since then. Katrina has had two solos shows in California and participated in three shows in The Bahamas. She has one painting in the National Art Gallery of the Bahamas and has sold paintings to clients throughout the United States, England, France, Canada and The Bahamas. The Exhibition will be on display Monday to Wednesday from 10am – 4pm until Wednesday, April 29. For more information contact the Gallery at 394-1886.